Hangs 16 pictures. 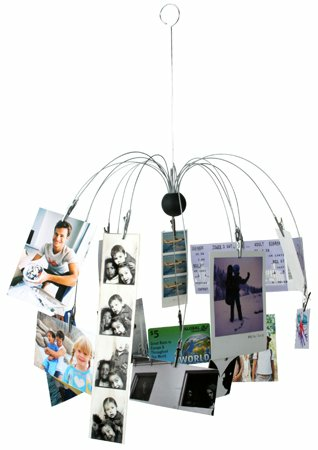 Easy to use, easy to assemble and great for home decoration. The style of clips allow all sizes of pictures to be displayed. When hung, the Spider Photo Holder measures approximately 17 inches in length and 8 inches wide. A funky and stylish alternative to our picture pockets range.